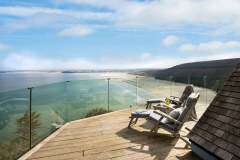 Head west and enjoy a getaway-from-it-all stay at Proper Job, a beautiful timber clad newly built house offering spectacular views that stretch up the coast across Sennen Cove, Gwenver Beach and beyond. 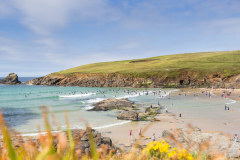 Sennen Cove nestles on the edge of Whitesands Bay, a surfer's paradise famous for its blue flag beach and great waves. 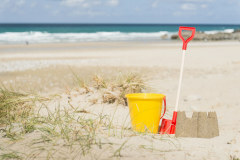 This uber-stylish holiday cottage is a short walk to the sandy beach, our first choice for friends and families alike. This striking property has been externally clad with white weather board and includes a brick driveway under the main house with parking space for 1-2 cars (depending on size of vehicles. Please note height restriction of 5ft 10"). Post swim, make the most of the ground floor wet room with walk-in shower and heated towel ladder. Stairs lead up to the first floor living spaces, a light open-plan area complemented with high ceilings and exposed beams, the perfect hideaway for winter stays. The dining area offers a perfectly placed dining table near the large windows with a French door that leads out to the sit out balcony. 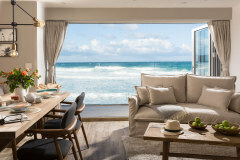 Two relaxing bedrooms have been decked out in nautical prints and luxury white linens to reflect the coastal vibe of Sennen. From the dining room, doors open out to a small bistro table with folding chairs provided - the perfect place to enjoy a coffee and soak up the fabulous views. 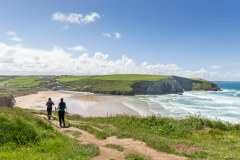 Situated in an Area of Outstanding Natural Beauty, Proper Job is located on the Cornish coastal path offering superb access to some of the most picturesque scenery in Cornwall with its high cliffs and dramatic seas. 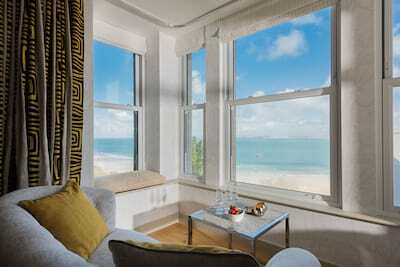 Spectacular views stretch up the coast across Sennen Cove, Gwenver Beach and beyond! If surfing is on the agenda, you are well placed for that peaceful dawn surf, check the waves from your very own vantage point, no web cams needed! Spend the day following the coast road down to the myth and legend of Land's End of choose to dine in style in St Ives approx 30 minutes away. 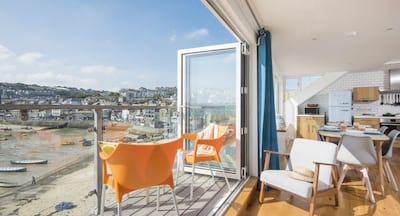 As perfect for couples as for a small family, Proper Job is a wonderful coastal retreat and base from which to enjoy your break in Sennen Cove, West Cornwall. 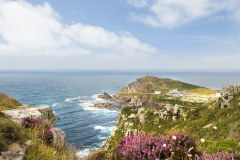 Spectacular coastal views that stretch up the coast across Sennen Cove, Gwenver Beach and beyond! 2 dogs are welcome to stay at Proper Job, house rules and pet supplements apply. Please note whilst there is no outside space, Sennen Beach is just moments away (seasonal dog ban from Easter - October) There are lovely coastal walks from the house. Please note there is a steep driveway and parking height restriction of 5'10". There is no turning room, so exiting from the parking space is only possible by reversing. Access/parking may be challenging for larger vehicles. We absolutely adored the cottage - we've stayed in Sennen many times and this was the best we've had - really did look forward to getting back to Proper Job after a day out. The location is great and the cottage really well equipped - 2 bathrooms were both fab and would be a real bonus if four people were staying. This really is an excellent property, beautifully equipped and presented. Thank you so much for an amazing stay in Proper Job. We loved it. Absolutely everything had been thought of and everything we needed was there... and some! It was our first time with Cornish Gems and we will definitely be booking with you again very soon. Perfect in every way. We like this property so much we have already booked for 2 weeks next year. Thanks as ever to you guys and to Proper Job - it's hard to beat. Our third stay here. Excellent in all respects. Impressive service from start to finish this is the first holiday we have booked completely online and we were a little apprehensive at not actually speaking to anyone but we were soon reassured with the confirmation throughout. The courtesy call the following day of our arrival was much appreciated although not needed as we were very happy with our accommodation and will certainly be booking again. Thank you it was just what we needed a very good holiday! Loved the cottage and the booking process was simple. We have stayed with Cornish Gems 3 times - once in Carbis Bay and twice at Proper Job in Sennen. We will hopefully be back next year. Service as always impeccable. Keep up the good work and thanks once again for a professional service. A lovely property, well maintained, fabulously presented and, I think, the nicest cottage we have ever rented. Thank you so much for a helpful service and detailed, easy booking website. Love Proper Job - already booked for summer 2016! It's a beautiful property and location. We have booked this property again, we were so pleased. Having booked with you twice previously we have been delighted with the service and quality of properties, and feel secure in dealing with you. 'Proper Job' is probably the best property we have stayed in (and we have stayed in many, in all parts of the UK). Best wishes to all. This was our 3rd visit and we would book again. A wonderful stay. Thank you. We had a lovely stay in Proper Job (2nd stay) - keen to book again. Have been coming to Sennen since the late 90's. This is the best property we have stayed in. Will be booking when we visit again in the new year. Proper Job was one of the best properties we have stayed in. The location was perfect and the views were fantastic. It's wonderful to see a company that works to perfection. No hassle, no problems. The property was very clean and every you needed was supplied and our son was impressed with the Wii game console. It made our holiday extra special in Sennen Cove. 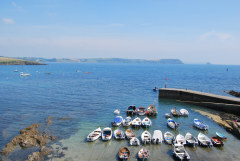 Already re-booked property for 2014, found Cornish Gems to be excellent, very friendly and we had no problems during our stay. Property excellent, perfect for us as a family of four. Thanks very much! We loved proper job and have already booked again for next year! From the outset the service received from Cornish Gems was 1st class, friendly, efficient and knowledgeable. 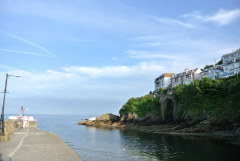 Having booked with other Cornish property letting agencies there is no comparison Cornish Gems are ahead of the game. I would not hesitate to book again and have done so. What also stood out was the recommendations made in the visitors book were actioned and present in the property which shows real commitment to customer service. The team at Cornish Gems are friendly, helpful and very personable. I really appreciate all the little things they did that leave a pleasant and lasting impression: the calls to check all was ok, the welcome pack, the little gifts, the quality of the property. It's lovely to receive such a good service in an age where most companies are madly trying to cut back. I have already recommended Cornish Gems to several friends. Many thanks for a wonderful holiday. 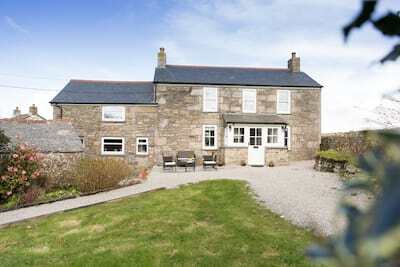 It is a fabulous cottage and we wouldn't hesitate to recommend it or visit again. We were extremely impressed with the customer service, general professionalism and value-for-money offered by Cornish Gems with this cottage. Was really impressed with Cornish Gems service and pleasant demeanor on the phone. Very efficient booking process and property absolutely fantastic. Loved it and will certainly book again with you next year. We had a fantastic holiday in a fantastic cottage. Absolutely excellent service. The office were a pleasure to deal with. 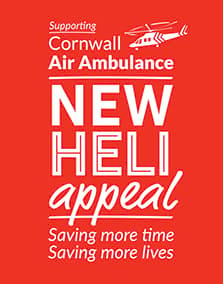 We will definitely book with Cornish Gems again! Thank you!! We thought Proper Job was a beautiful property in a great location. Proper Job is a beautiful property in a perfect location. We had a fabulous week in the property in Sennen Cove. Proper Job was a real home from home, with all that we needed to holiday in comfort and so close to the sea too. We will certainly be back again. As said within the Visitors Book, our stay was Sennen-sational!